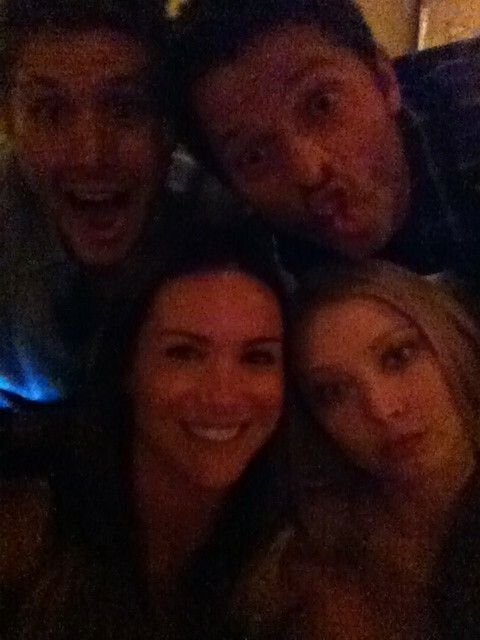 Danneel Harris with Elisabeth Harnois (Shelly), Jensen Ackles and Misha Collins. . Wallpaper and background images in the One puno burol club tagged: danneel harris jensen ackles danneel ackles elisabeth harnois. This One puno burol photo might contain portrait, headshot, and closeup.